In the preceding essay Vermeer, Materialism and the Transcendental in Art Singh critiques the mystical or spiritual emphasis in promotional material surrounding the Vermeer and the Delft School exhibition at the National Gallery in 2001. Words and phrases like the ‘imprint of the soul’, ‘something of a miracle’, ‘mesmerizing’ and ‘magic’ abound. All the artists, except Turner, (who a century later learnt about materials largely through his own experimentation) that she discusses in her essays spent at least seven years in a guild system studying methods and techniques; learning how to make and utilise grounds and varnishes, not to mention the production of different kinds of paint using a whole range of natural pigments and binders. ‘These materials were manipulated to serve their meticulous aims to create a distinctive affect, effect, feel and texture. […][to] reflect the evolution of the “intimate senses” as an evolved sphere of perception manifested in the ability to respond with discernment to a wide range of textures, shapes and colors.’ One example Singh gives is Vermeer’s particular use of a thick, lead white based grey ground which provides ‘gravity’, ‘dynamism’ and an underlying, unifying element to a relatively small painting. It seems that it is this very method that contributes to the luminosity of the overall painting and is somehow evident behind the over painted colour. As Singh further points out, in Holland at the time there was a great interest in the visual perception of colour and colour production in line with huge scientific advancements in optics as well as the dye industry; Vermeer’s paintings are a product of a particular historical economic and social context. However, she draws the conclusion that recent art history has favoured the idea that ‘style is seen as art of a unique personality and not a skilled and manual job of work developed to have a material affectivity’ and that the ‘sensual element of construction’ or the idea of a ‘visual and sensory syntax’ has always been omitted from [contemporary] art theory’. The following contributions were gratefully received in the spirit of communal exchange. And although none have attended a Dutch ‘guild’ school, I think it is evident that a great deal of serious ‘labour’ and ‘research’ is going on with regard to the creation of colour relationships and colour materiality, whether through systematisation, organisation or experimentation, and the artistic results are testament to this. ‘The initial colour I select for the paintings I do with Matthew Collings is generally quite random, but everything after relates with purpose and intention to that first choice. Colour is often seen as a means of differentiating one thing from another, even by a critical body that is highly sophisticated in the way it analyses meaning or reads signs, or is capable of challenging how work fits into the art machine. Colour seems an old fashioned preoccupation, freighted either with Greenbergian ideas about judgment and hierarchy, or in need of resuscitation from its associations either with primitivism or femininity. Add to that the deskilling of the art workforce, and outsourcing of technique to artisans, and you have an art world with very little interest in something that pertains so inescapably to the visual. I think, by focusing on an area that has become, for this community, an unseen or a conscious absence (it is deliberately overlooked, in other words) I’d like to shift the focus to the materiality of colour, to show that to lose a comprehension of those material properties is to lose something important. If we artists were potters, or car makers, or coal miners, we would fight about the loss of skills, but the art machine demands a perpetually novel product to feed profit, and when we lose an understanding of a craft element of our work, we lose knowledge and we deskill, with consequences that we see in those industries. The art world is money rich because of the crazy novelties it trades in. Artists themselves though, without skills, become ever more replaceable. Colour is not organised in any predetermined way in our triangle paintings, but there is a system of tonal opposition that plays over the whole thing. The colour choices and the eventual overall colour arrangement are each matters of judgment, and the aim is to create a variety of resonances and hold them successfully in a tense, shifting and mutable grid. ‘[…] But the paradox here is: because of the way that it’s made; the application of paint, the movement of the hand and the brush, and the softness of the surface (unlike the surface of an industrially made product), the striations of the brush marks both catch the light and hold the shadows, so what it’s possible to see from time to time is darkness within the white – a patchiness within the white. […] I’ve made a few white paintings over the years and they are some of the most extreme and the most demanding of works, because you’re given a degree of freedom and a sort of a blankness and a challenge to make sense, to make connections, or even to relinquish some of the behaviours that you might have in terms of any kind of reading. And the painting, because of its non-illusionistic nature (it doesn’t propose a space within itself – it’s a part of the space that a viewer exists in), appears and disappears in that space – it takes on the qualities of that environment. 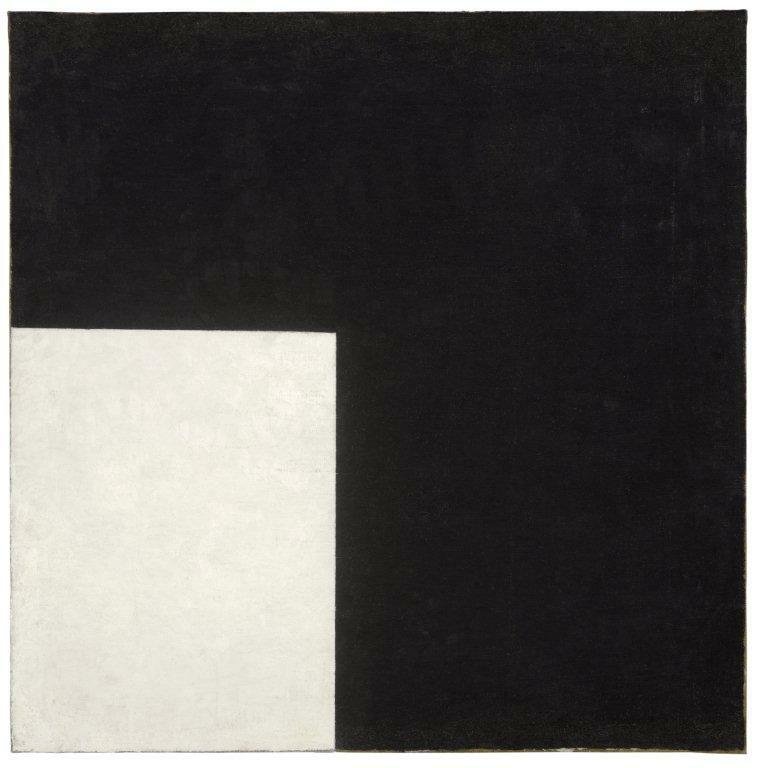 And the difference between one white painting and another is partly underscored by the subtlety of the surface. They’re all distinct, but how easy it is to tell one from the other isn’t straightforward. ‘I have a book published in Basel in 2009 documenting colour systems from 1611 – 2007; in Goethe’s Theory of Colours (1810), he divides his optical and chromatic experiments between subjective and objective; David Batchelor’s Chromophobia (2000) proposes that “colour is bound up in the fate of western culture”… Analysing, categorising and systematising colour has been with us for a long time, as has the transition of such theorisations between rational and intuitive positions. ‘Colours are experiential phenomena of the mind, so a cat encountering a bowl of oranges will experience these differently to us. ‘Pigmentation’ alters these phenomena: water for example can ‘appear’ blue, whereas blood is crimson through the iron in red blood cells. For most artists, colour is the bound pigment we call paint,[iii] and the way paint (colour) has been utilised by other artists. So when artists discuss colour, we implicitly mean paint – or painters’ use of paint – rather than the colour of a rainbow or the blood in our veins. ‘My grandmother had a penchant for wearing the brightest, most clashing colours at once: fuchsia, scarlet, lilac, and green; she stood out amongst the dark and neutral shades more commonly favoured by the elderly. She approved of my teenage pink, then turquoise, hair. Similarly, I am drawn to the brightest hues; I select colour rather than mix it. Choosing household paints and materials in their ‘pure’ artificial form; traffic red paint, fluorescent yellow reflective tape, teal thread, and bright orange Perspex. I am interested in notions of good taste and class when it comes to colour: Martha Stewart’s jadeite green, Easyjet orange, Farrow & Ball heritage colours of ‘Arsenic’ and ‘Charlotte’s Locks’, cheap blue fabric, and Juicy Couture pink. When I did an image search for ‘colour and class’ all the images were of cars: black, navy, grey, blue, with the occasional red. Even our cars are boring these days. Rather than monochrome, it’s the collision of colour that’s exciting to me, where a pale Germolene pink rubs up against an acidic canary yellow. Colour in succession and in relation, in its purest artificial form. ‘Colour is the first thing a person negotiates when looking at a painting and is probably the most important decision I make when painting. I usually come to a painting with quite a clear idea about the feeling I want it to have and it is through decisions about colour that my process begins and this must be true for most painters. ‘Colour, more specifically the use of coloured pigment, is something I aspire to in my painting but never feel entirely satisfied with. For example I may ‘see’ a particularly subtle dark orange in my mind’s eye only to recognise, once I’ve mixed the oil paint, a somewhat underwhelming burnt orange or terracotta. So over the years I’ve learned not to rely on colour as the main ingredient in my painting, rather I hope for the best and look toward gesture and line, and the medium itself. I work under an even and flat fluorescent light, no doubt this has had a bearing on the end result and choice of which colours do work best, so part of what the viewer may experience is a painting with an amplified sense of its self. This is also due to the fact that I’m painting directly onto a shiny black Formica surface. The black of the Formica gives the colour an ideal base on which to reveal its self. ‘Colour for me is spatial and structural, and in the absence of perspective or foreground and background it creates the pictorial space in my paintings. This is because colours occupy different spatial planes when juxtaposed. There is the Matissean idea that colour creates light, so rather than depicting light within the picture, light is generated by being reflected off the actual surface of the painting. Another of Matisse’s ideas is that two separate colours can mix together optically to create a third indefinable colour. ‘The etymological origins of the English word black are – Old English blaec, (dark), Proto-Germanic, blakaz, (burned), more remotely, Greek, phlegein (to burn, scorch) and Latin, flagrare (to blaze, glow, burn). Interestingly, the same root of blaec produced Old English, blac (bright, shining, glittering, pale). In fact, by the time of Medieval English it is ambiguous as to whether blac/blak means black/dark or pale/colorless. This paradoxical quality in the use of the word black persists in the way black is regarded in painting through to the 21st century. [iv] John Ruskin, ‘The Elements of Drawing’, London 1857, Letter III, Section 153 and footnote to Section 240. Quoted in Bridget Riley’s interview, ‘Perception and the Use of Colour’, with E. H. Gombrich. 2. What is the purpose of colour in art/your art? 3. Do you organise colour in some way? 4.Can you say something about (the idea of) the monochrome? For me, there are lots of intriguing positions and insights in the various artist’s quotes . But I would like to take issue with a couple of quotes in Katrina’s thoughtful introduction. I’m with Picasso on this- you should be able to make art out of anything. I don’t care if “…..the ubiquity of coal tar colours in the built environment has contributed to the alienation of the senses and our estrangement of colour on an aesthetic level…..” The more ‘estrangement’ (in a Brechtian sense) on an aesthetic level- the better, I say. Time to wake up and smell that alienating diesel. ‘Coal tar’ and all fossil fuel derivatives have a very real energy- they have a life force all of their own- straight from the sun- compressed into vital intoxicating energy boiled up over millions of years. They ripened in perfect time to become the fuels that fired the maniacal machines of modernity. They now hold fast the colours that light up our post-industrial consumer cultures. Love it or loathe it- who, as an artist, would not be interested in that? Like it or not fragments of plastic have become as ubiquitous as the pebbles and shale that coat the coastlines of the world. Also, I’m reminded of that Hoyland quote about likening acrylic paint’s arrival as a new painting medium to the impact that the electric guitar had on music. Bob Dylan got the ‘Folkies’ all upset for playing one! Trouble is the Folkies, along with an icy blast of a new puritanism and austerity, are back with a vengeance. Surely ‘colour’ can come from anywhere bringing with it it’s own peculiar qualities, whether totally synthetic or wholly ‘organic’? Thick or thin, inert or toxic- on the back of a McFlurry cup or floating about in high class ‘Golden’ Gels. It’s what the artist does with them that counts. (Skill). I find this language a tad sanctimonious. I blame William Morris! “Inexpensive”, eh? I say, PLUG IN AND TURN IT UP! Sorry but you seem to totally have the wrong end of the stick. I suppose that’s what comes of not actually reading Singh’s original book first. I suppose you are probably right. Are people becoming desensitised to the subtleties of art making? Facture has always been a crucial issue for me; how it affects colour. I can appreciate the comments and the sentiment of the article’s main thrust. I just wonder though that painting and sculpture are part of a much bigger pond now. Film for one thing is such a significant cultural phenomenon, and imagery in general is such a dominant communicator. Add to that a whole myriad of spectacles that rely on computerised effects. Frank Stella put it nicely: “It’s displays with the tinge of art rather than the touch.” Rather than lament a perceived loss of sensitivity though, it might be interesting to ponder if one was ever truly there to any great extent. How many people were really ‘really’ interested and tuned into the more advanced art? There could have been a lot of hangers on as there was nothing else to hang on to…now there is. Painting and sculpture can mine their own rich seams and not try to skim off other forms. A good question is always can something be achieved better in another medium? Also as humans we adapt and change. Our experience of colour and our use of it will also follow these changes. 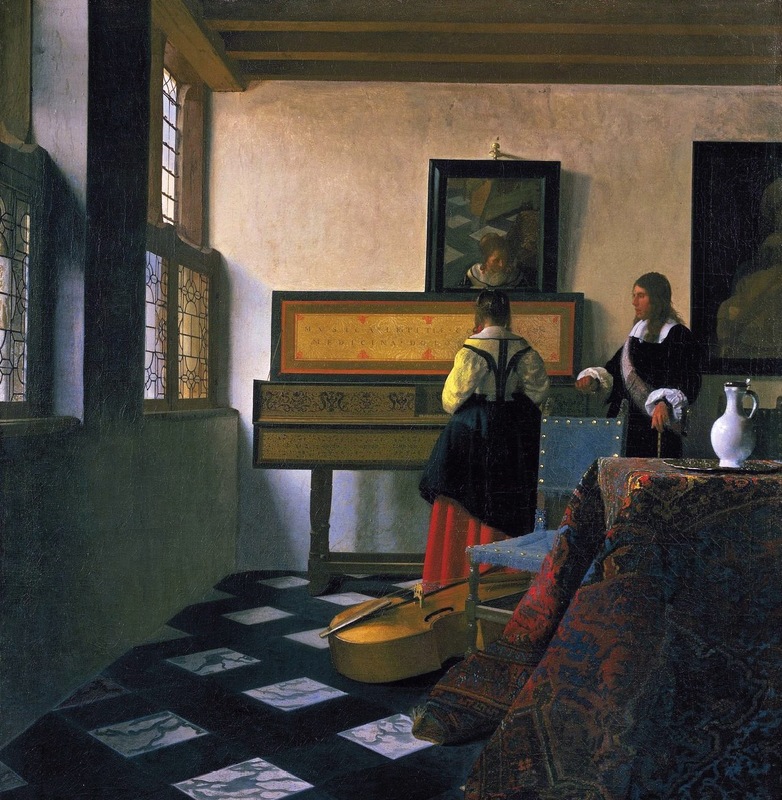 The use of materials now is very different to Vermeer’s day granted (no lead for one thing, which is to be grateful for. ) I am pretty sure artists then would have preferred a wider range of – safe- colours and also the ability to store them readily if they had the choice. Building a skyscraper is inconceivable without using computers as part of the design process. Flight simulators train our pilots. Digital imagery assists major surgery. Nano technology is a sleeping giant starting to waken. Art is just another human endeavour. Must we all only use organic pigments? Why stop there? Shouldn’t we weave our own canvas, forge our steel, mine our stone? How we use our resources is more of an issue than imposing any hierarchies. The impetus to be creative is mysterious rather than quantifiable….unless you work for Apple maybe. Granted things change and the production of art changes with it. I think it is the role of artists to negotiate this. For me the article does not rule out these changes. I have read the whole of the book by Iona Singh and there is equal weight and analysis placed on Yves Klein and his more modern practice of production and immersion in materials, and in which he was equally engaged and radical, as lets say, Vermeer. I think the methodology described in the article could be pushed forward with regard to the great technological revolutions of the modern era, with one premise: the sensitivity and the sensibility of human senses can never be regarded in a brutalised fashion (or it’s not fulfiling its job description), whether we’re talking about art or art history or philosophy etc… and some kind of extreme engagement with the materials is going to be necessary, in order to do this and to avoid being pulled back into the rational, logical, narrative, logocentric, which although important in their own way should not encroach or subsume somatic sensuality, feeling which is ultimately sensitivity, care, love and well being.